Aluminium Privacy Screens come in either Slats or elliptical fixed & adjustable Louvers and can be ordered horizontally or vertically. 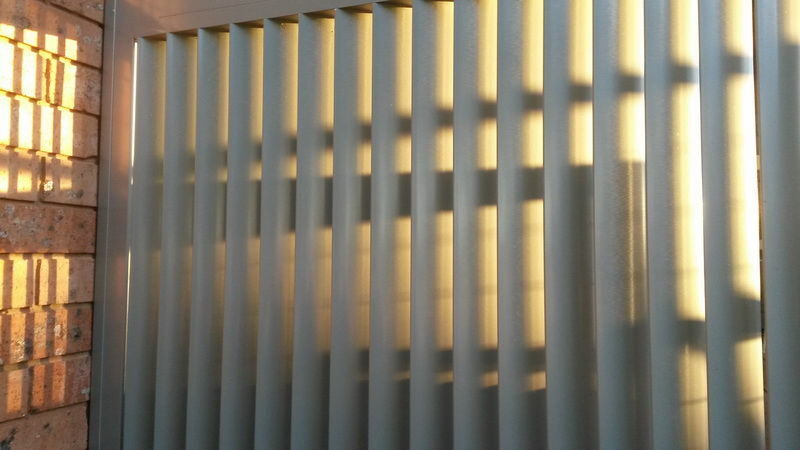 Aluminium Slat and Louvres are the ultimate in style and low maintenance and will enhance your entertainment areas by improving privacy while allowing the advantage of breeze and visibility, or may be used purely as features or highlights in modern architecture. 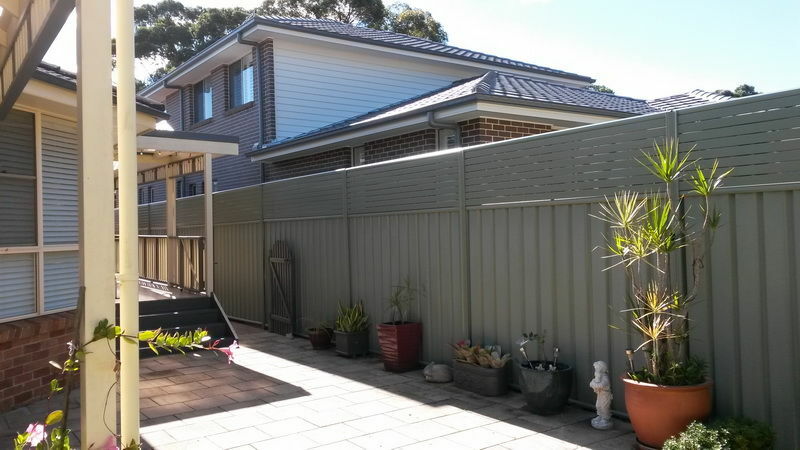 Aluminium Privacy Screens are custom made to suit individual clients requirements. Powder coated to the highest standard, making them water and weather resistant, they can be easily maintained with a simple hose down. 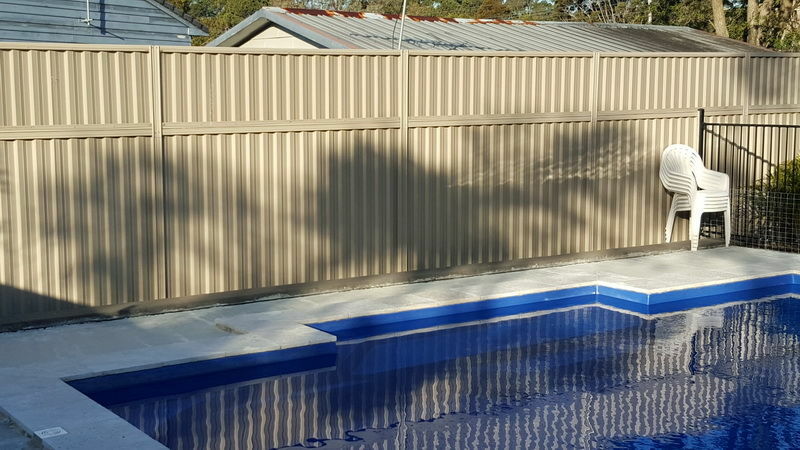 Compared with timber that may rot, warp or splinter and typically need to be painted or oiled every year, Aluminium Privacy Screens are a low maintenance choice. Aluminium Slats are typically 65mm x 16mm, or 50mm x 10mm individual slats. These are also available in 90mm x 16mm and 38mm x 16mm. Gaps are typically from - 0mm, 6mm, 10mm, 12mm, 20mm and 25mm. Elliptical fixed Louvres offer a one directional view while reducing exposure to wind, rain and sun while adjustable louvres will offer complete privacy being able to be opened at 90 degrees or closed. 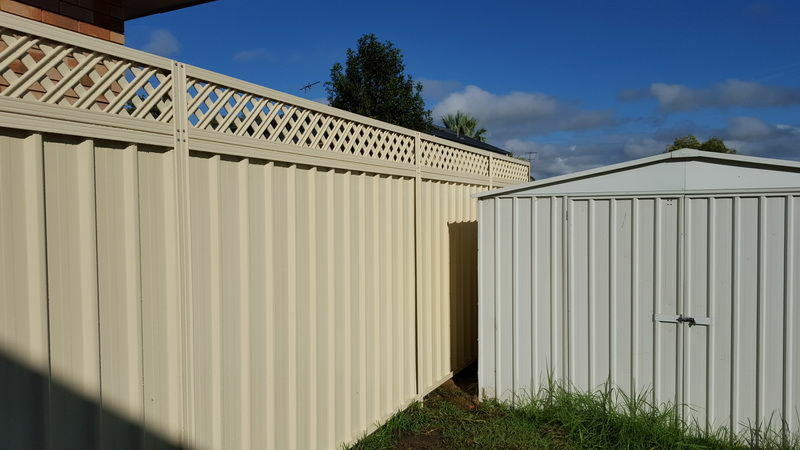 Colorbond extensions can be added to the top of any Colorbond fence by using a range of options including Aluminium Slats as listed above, timber, metal 3D lattice, flat punched metal lattice or by simply adding a new enclosed Colorbond panel for maximum privacy.